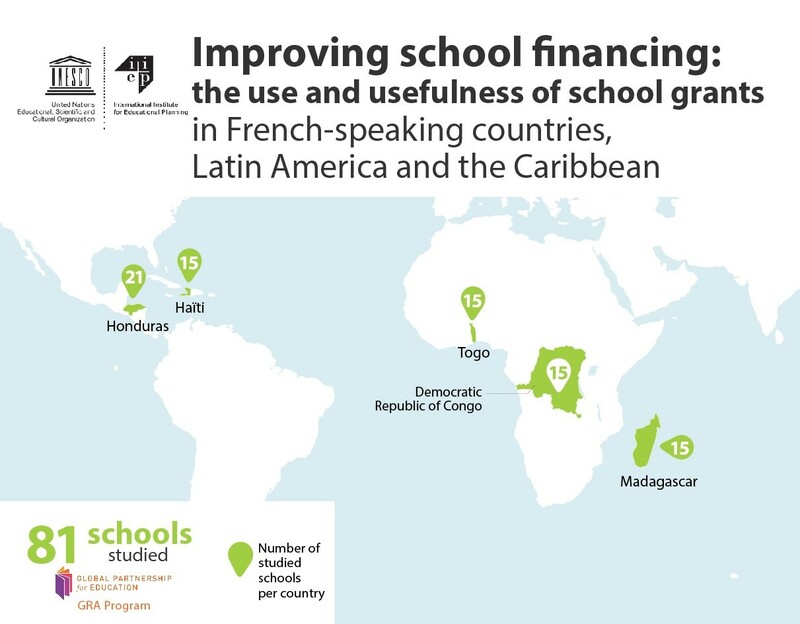 In recent years, a major reform in education system management has occurred in developing countries: schools now receive grants direct from central authorities. School grants aim to reduce bureaucracy, to be relevant to schools’ needs, to improve quality and achieve equity. While school grants have become important to education system management, little is known about their use and their impact on access, quality and equity – that is why IIEP undertook this research on school grants. IIEP-UNESCO and Unicef coordinated an intensive research project in Eastern and Southern Africa and East Asia and the Pacific from 2010 to 2014. 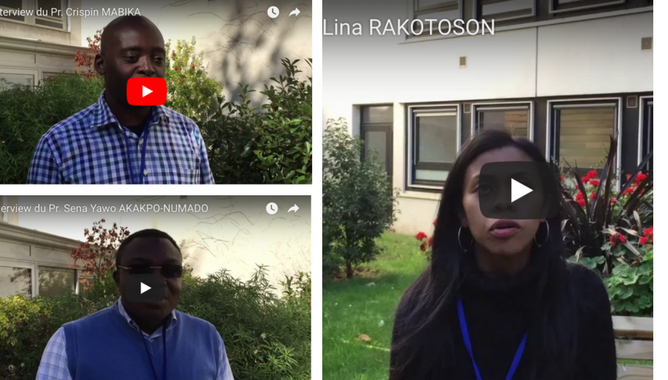 Drawing from this successful experience, IIEP has received support from the Global Partnership for Education through its Global and Regional Activities programme to extend the research to Latin America and French-speaking countries. The research has been implemented in Honduras (2013-2014) [See the research results] and in four French-speaking countries (2015-2016). In each country, the research has been implemented by national teams composed of representatives of the Ministries of Education and research centers with the support from IIEP-UNESCO. The final purpose is to develop guidelines for policy-makers on how to successfully implement the school grants policy. Access and Equity: School grants have enabled children, especially those from poor families, to enroll in school, although parents must always make a financial contribution. School grants have not been able to fully address the existing disparities within and between schools. The grants do not contribute to fee-free education, rather it reduces the parent’s contribution to educate their child. Quality: Many school actors emphasized the improvement of the school environment through the availability of teaching and learning materials which have increased the motivation of teachers and students. However, the school grant amount is insufficient to substantially improve schools in precarious conditions. 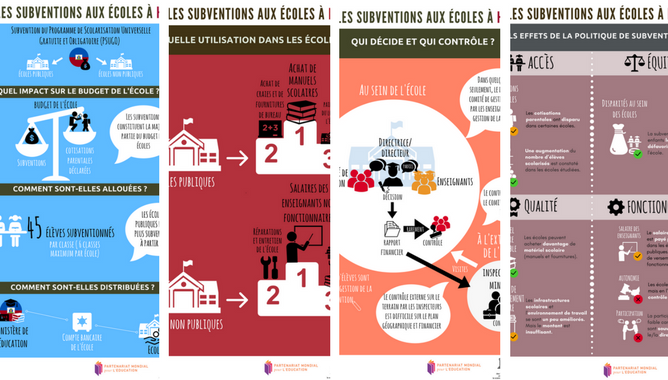 Participation and control: The decision-making on the school grants remains the main responsibility of school directors, especially in Haiti and the DRC. The internal and external control procedures on grant use are not always followed and if exist, they are often limited to the administrative verification of financial reports. As an alternative, the monitoring of the school environment by the parents and the community proved effective as an alternative form of social control. Administrative efficiency: Although depositing funds directly into school bank accounts helps to improve administrative efficiency, the delays in disbursement and limited bank coverage to withdraw funds cancel this effect. School autonomy: The improvement of school autonomy is limited by several factors such as modest grant amount, restricted spending conditions, and the imposition of school material supply providers). The development of participatory processes for grant management within the school community. As part of the research programme on school grants, technical guidelines have been produced to help countries design and implement school grant policies. Intended for political decision-makers and educational planners, the guidelines present a variety of challenges and the different strategic solutions to consider from policy conception at the central level to implementation at the school level. Watch all the videos related to the technical guidelines on school grant policies.